Talk about organic. Our garden is organic organic. As we think up an idea, we try it. The idea for this new garden came when we were given about 30 rock pallets (regular pallets with wire cages attached to hold the rocks in). 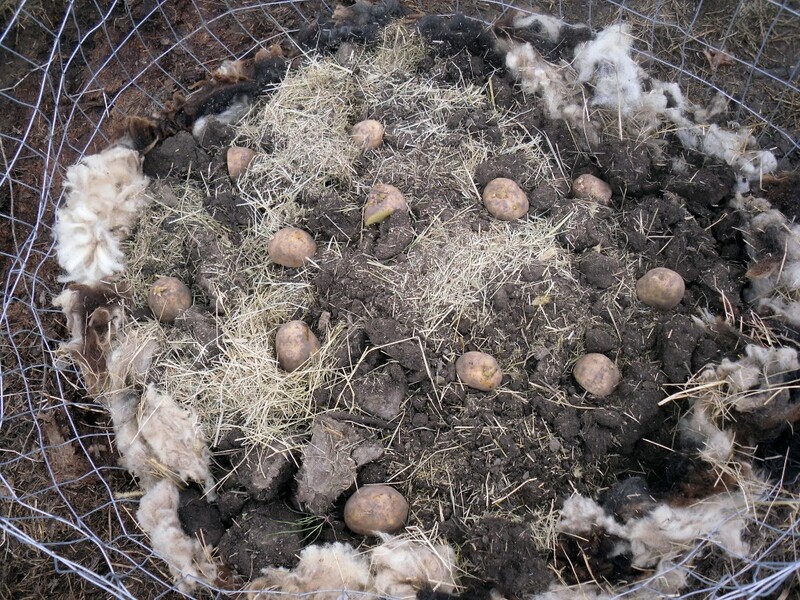 We took the the cages off of the pallets and lined them with bits of unusable wool and then filled them about halfway with dirt. In those rings we planted tomatoes, peppers, potatoes, basil, English peas, Asparagus, Beets, and more. Between the cages we mulched, and tromped, and mowed. 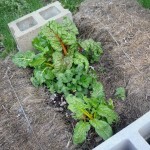 On one side of these, we dropped a couple straw bales and planted some chard between ’em. 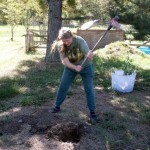 On another side, we planted a row of blueberry bushes and a lot of strawberries. We also had a lot of logs, and Jeanette read a story about a process called hugelkultur. 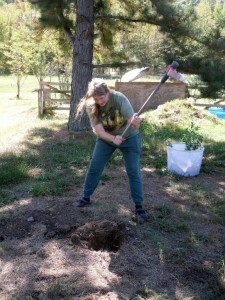 We planted a couple batches of sweet potatoes. 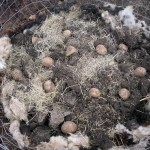 One batch on softer soil worked great. The other, not so much… Maybe next year after the underpinnings of our hugelkultur pile has worked down a bit more. 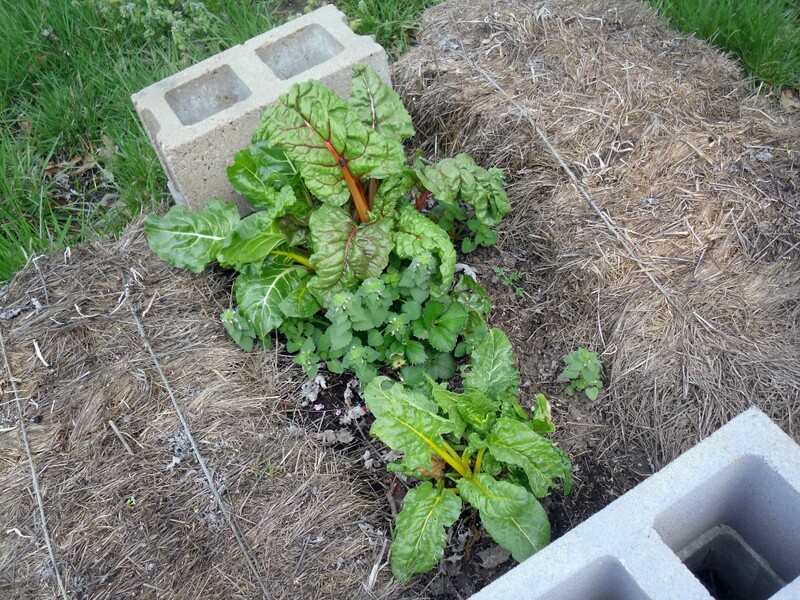 This Swiss Chard grew almost all winter long sheltered between straw bales and cinder blocks.